It is not possible to demonstrate that dogs (Canis familiaris) feel emotions, but the same is true for all other species, including our own. The issue must therefore be approached indirectly, using premises similar to those used with humans. Recent methodological advances in canine research reveal what dogs experience and what they derive from the emotions perceptible in others. Dogs attend to social cues, they respond appropriately to the valence of human and dog facial expressions and vocalizations of emotion, and their limbic reward regions respond to the odor of their caretakers. They behave differently according to the emotional situation, show emotionally driven expectations, have affective disorders, and exhibit some subcomponents of empathy. The canine brain includes a relatively large prefrontal cortex, and like primates, dogs have a brain area specialized for face perception. Dogs have many degrees of emotion, but the full extent of dog emotions remains unknown. Humans are a socially minded species; we readily impute mind and emotion to others, even to vegetables or rocks. Hence the experimental results need to be analyzed carefully, so the emotional lives of dogs are accurately estimated. 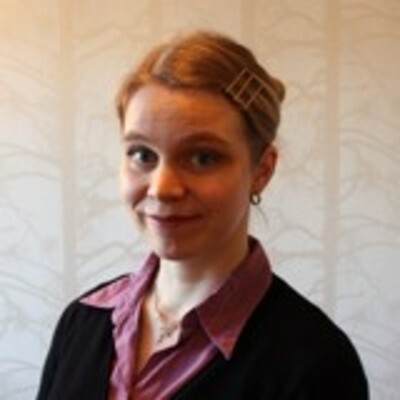 Miiamaaria V. Kujala (Saarela) is a researcher in comparative cognition at the University of Helsinki, Faculty of Veterinary Medicine, Department of Equine and Small Animal Medicine, Helsinki, Finland; and Aalto University School of Science, Department of Neuroscienceand Biomedical Engineering, Espoo, Finland. A social cognitive neuroscientist, her current research interests are social cognition and emotional experience in dogs, non-invasive brain research across species, and human perception and interpretation of animals.